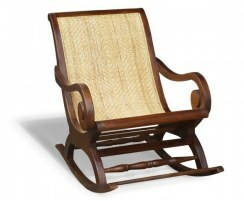 This Capri plantation rocking chair exudes exotic eastern charm, and makes a fantastic gift for weddings, birthdays, anniversaries and so on. Consider this Colonial-style indoor rocker chair in teak for a stunning focal point for your setting and comfort that's second to none. 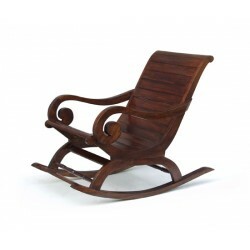 This Capri plantation rocking chair features elaborately scrolled arms and a contoured, ergonomic design for guaranteed comfort. 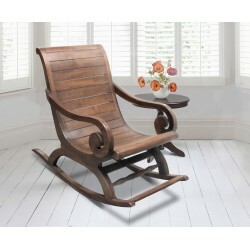 This elegant Colonial indoor rocker chair has been expertly handcrafted from sustainably sourced reclaimed teak with a stunning hand-stained antique finish. 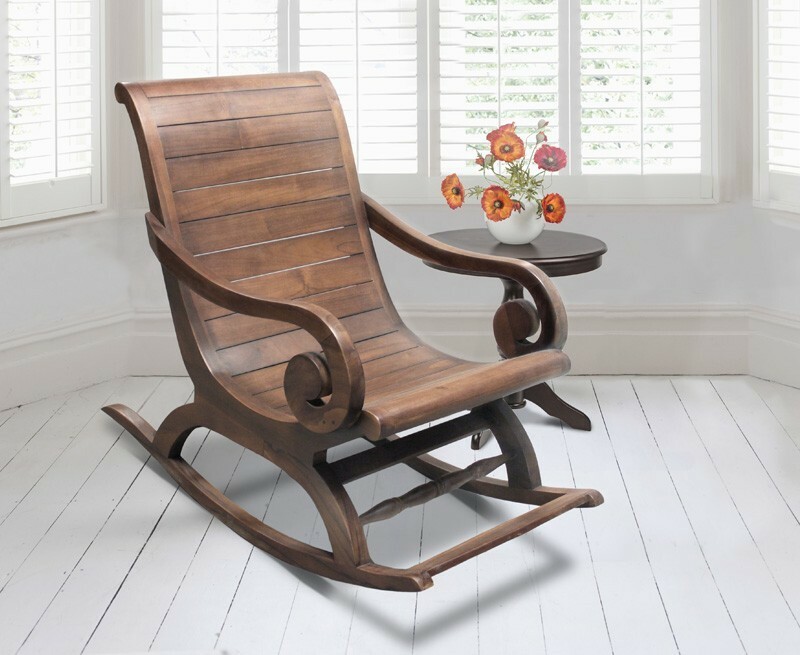 This plantation rocking chair is suitable for indoor use, and is perfect for relaxing in front of the fireplace in a living room or bedroom. 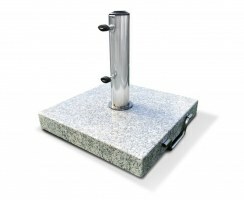 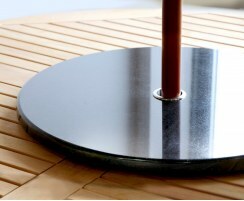 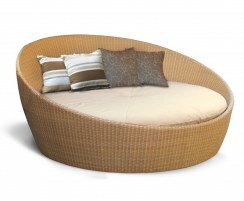 A sumptuously thick cushion is available to purchase separately. 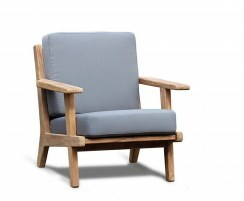 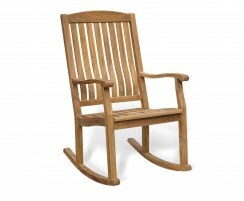 The addition of a super-thick cushion will instantly turn this rocker into a comfortable nursing chair. 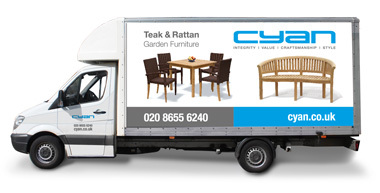 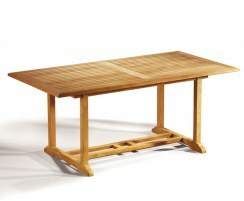 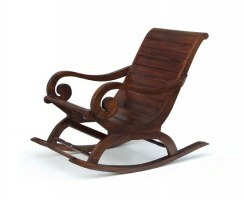 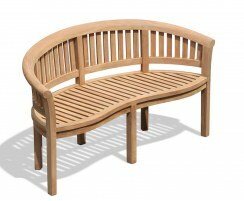 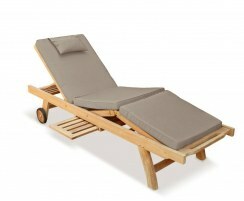 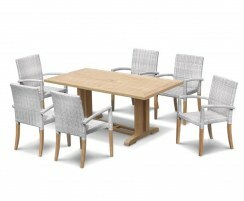 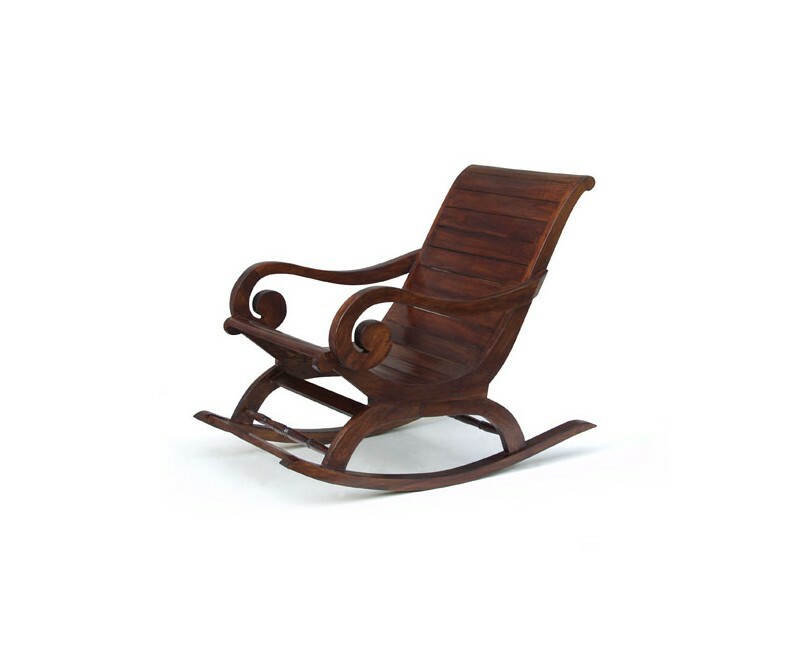 We will deliver this teak plantation rocking chair to you fully assembled for your immediate enjoyment.